I slept well. 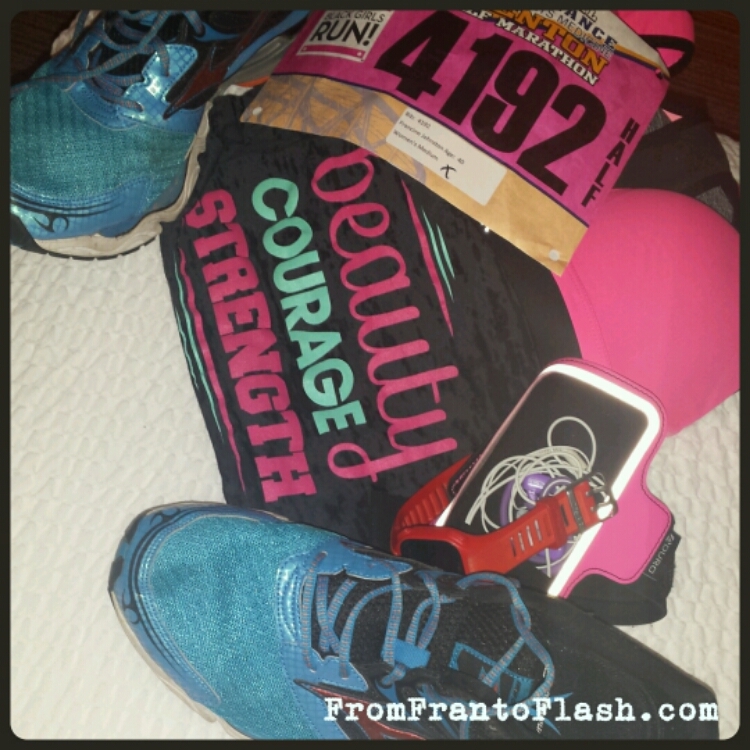 I woke up at 3:30 am excited, nervous and ready to run. I kept telling myself, “You’ve got this! Trust your training and listen to your body. You are stronger than yesterday.” My nerves were calming and I realized I can and WILL do this. As I approached the start line, the nerves were coming back to the surface. Again, I calmed myself down. I was to meet Black Girls Run on the Art Museum steps (Rocky Stairs) for the group photo. The pep talks by the different members were uplifting and encouraging. I lined up in the blue chorale. Since it was my first marathon, I registered with the slowest time. I decided not to run without music or a partner because I wanted to experience the race without the distraction, alone with my thoughts and one with myself. I approached the start and the nerves turned into excitement. I was off! 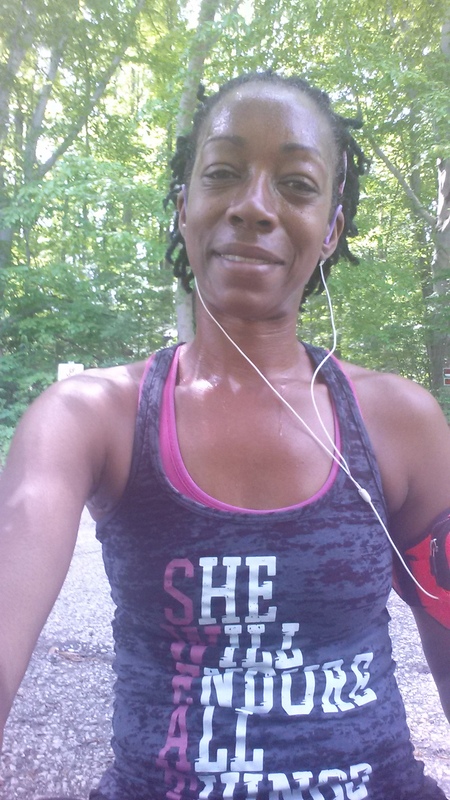 I started slow because I wanted to be able to finish strong and running. I was taking in the sights, sounds and people. I was feeling good and the crowd was cheering for everyone. 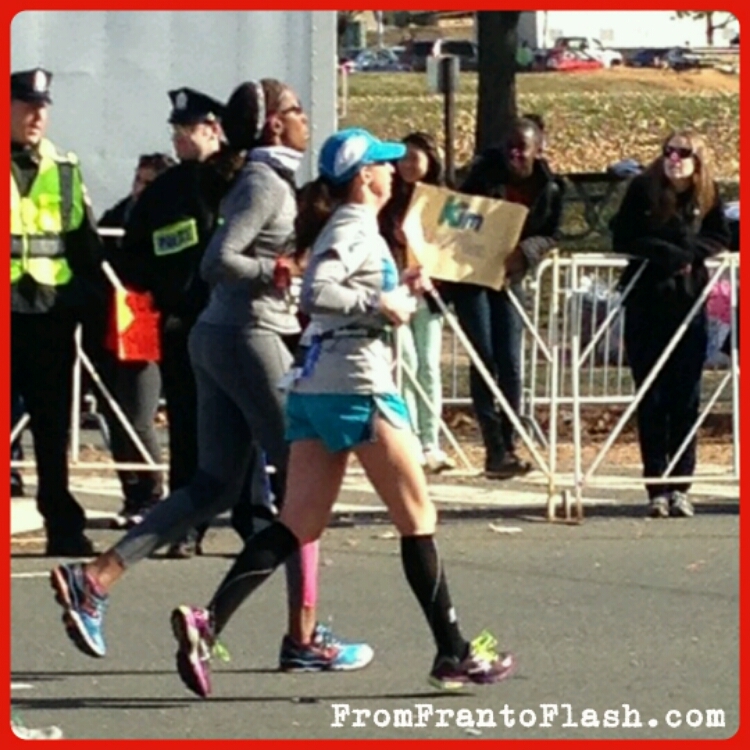 I heard a few cheers for me “Go Francine! 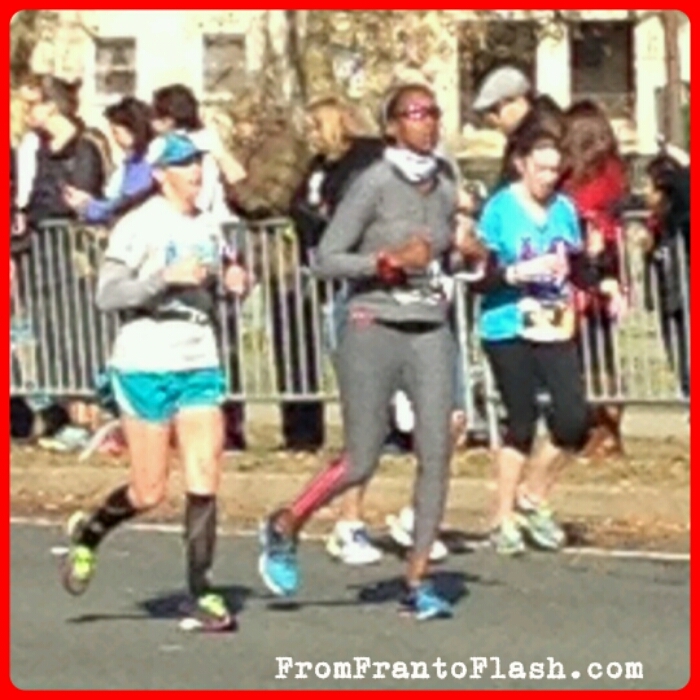 Looking strong Francine!” Then I heard a cheer I was not expecting “Go MOM! You can do it! We love you!” It was my boys. They surprised me! My day was made and I had a permanent smile for the rest of the race. I was still running and feeling good. No issues breathing and I was on pace. I was on a roll. Then I felt s pebble in my shoe. I had to stop to get it out. 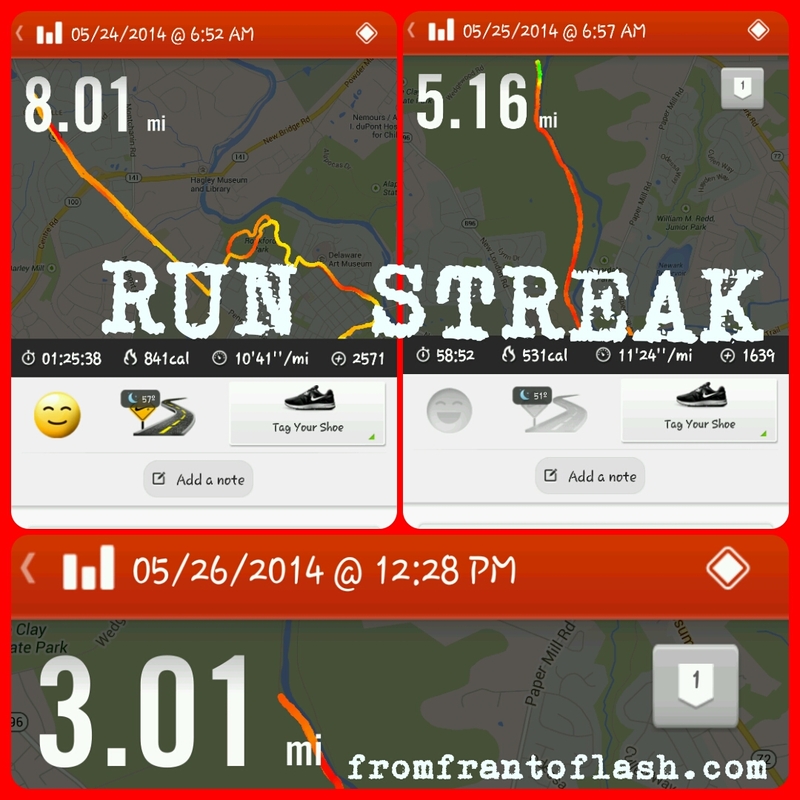 I was back on pace. A big THANK YOU to the spectator that had Dunkin Donuts. That glazed donut was a needed boost of energy. It was the best donut I have even had! This was the quiet part of the course. I was alone with my thoughts. My head was clear and I was enjoying myself. I was picking up my pace and then I saw an ambulance go by with someone with an IV and oxygen. 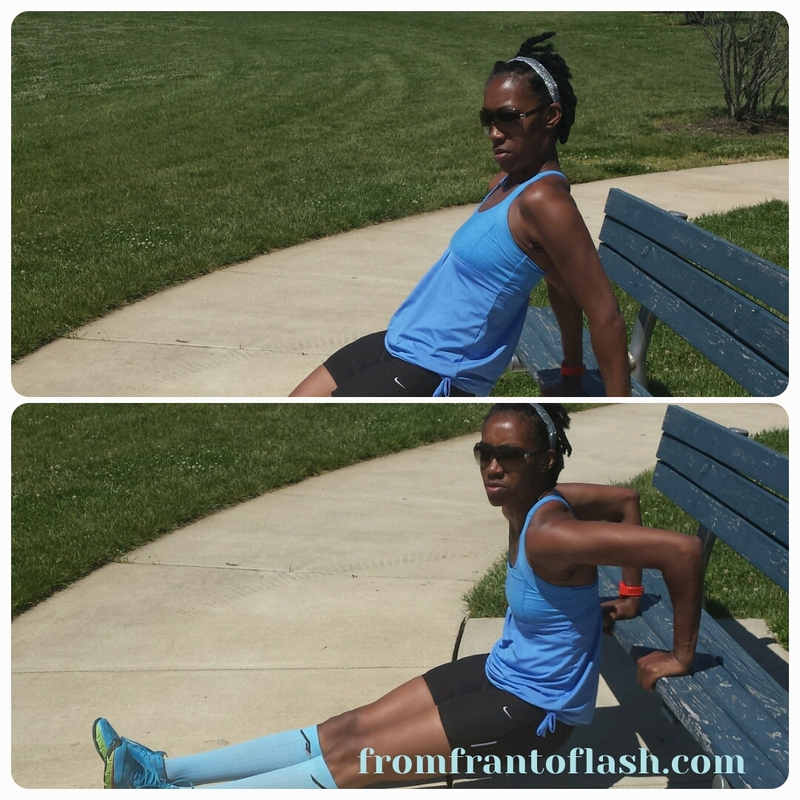 I slowed down to make sure I would not have an asthma attack and end up the same way. It was a reality check for me. 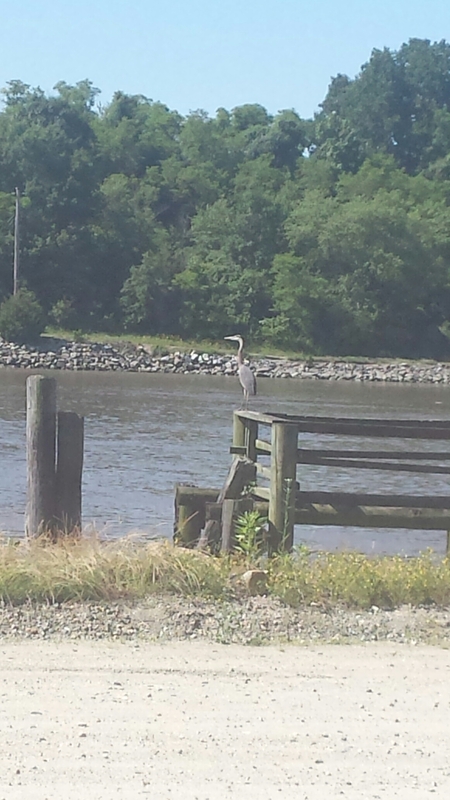 Then, I ran into one of my training partners. She was in bad shape. She was crying. I stopped to ask what was wrong. She put a new plan in place and she hadn’t stopped for water until mile 10. She was dehydrated and cramping. I had given her rolaids to help with the cramping. She assured me that she was ok and to keep running. This was the toughest part of the course for me. I was mentally drained. Then I heard a voice “hey Francine!” It was my coworker Denise. I was so happy to see her. She was feeling the same way and we vowed to finish the race together. We would run for 2 minutes and walk for a minute. The quiet course became filled with the cheering spectators again. We started to feel that energy again. We got to mile 25 and she said, “We can walk and then pick it back up in 1 minute.” I said, “No, I am going to finish this and finish strong.” I saw the finish line and got a burst of energy. I took off! I wanted to finish. I HAD to finish running and strong. I DID IT! 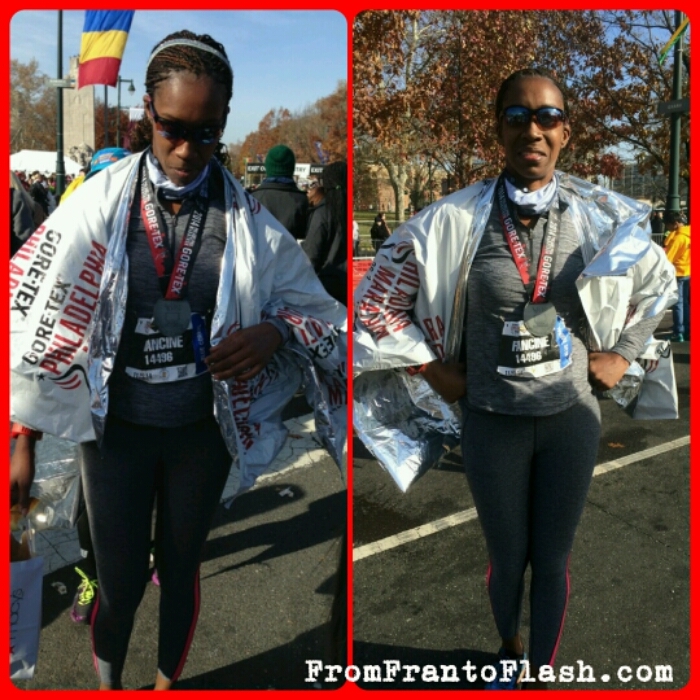 I ran my FIRST and LAST marathon. It was worth it! 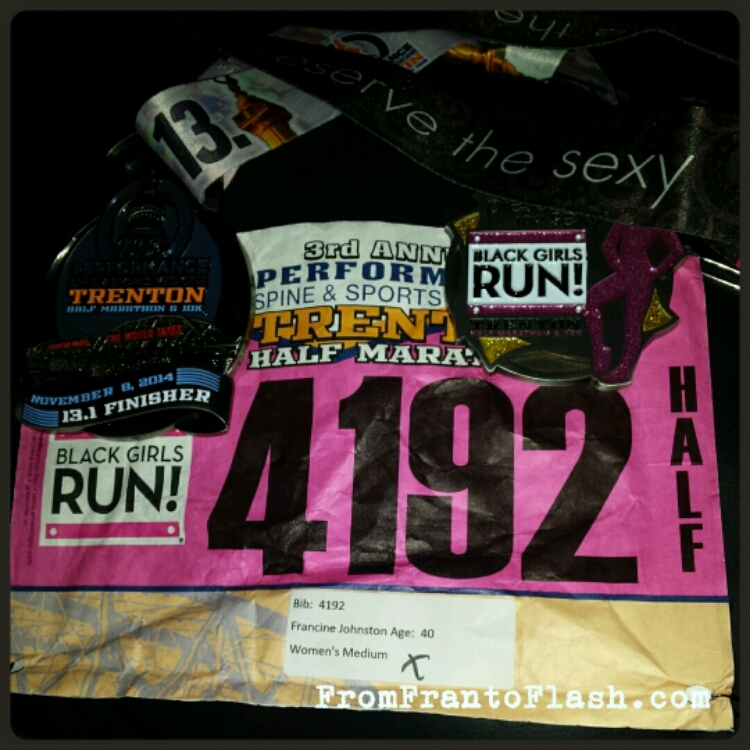 I could not have done this without the support of my family, friends and Sole Sisters of Black Girls Run. You are ALL amazing. I appreciate and love each and everyone of you. Thank you from the bottom of my heart! Stay tuned for what I’ve got planned for the rest of the winter. My intention for this race was to use this as a training run for my marathon and pace myself throughout it. I was hoping for a sub 2:00 time which would have been a PR. I can honestly say I learned a few lessons during the race. It was cold the morning of the race. 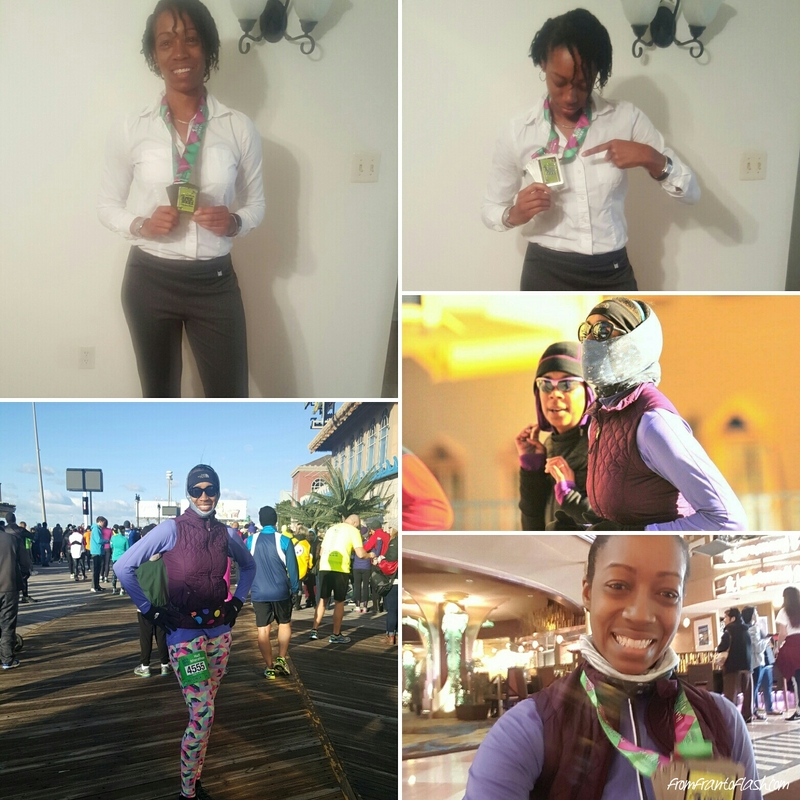 Since this race was a Black Girls Run race, all members who registered received a special medal along with their finisher’s medal. I was unable to run it last year due to injury so I was excited to run it this year. The start kept getting delayed. I was getting frustrated. It was supposed to start 8. They kept saying they were checking the course. Everyone was anxious. We were ready! This is the first time I have been to a race where everyone started at the same time. The half, 5k and 10k all started together. That was odd to me. It was time for the start! BOOM! The muskets (yes, muskets) sounded the start of the race. I started to run and immediately came to a stop. We had bottlenecked at the start. What was going on? Nothing except the start was overcrowded. The first hill was immediate. It was a steep incline and the cold air was stinging my lungs. I felt my chest getting tight and I was having shortness of breath. I told myself to calm down, slow down and breathe. I could only take short, shallow breaths not the long ones that I needed. I was getting worried, almost in a panic. My friend looked back and knew something was wrong. She shouted out “are you ok?” I shook my head no because I could not speak. I started to find my breath and was breathing a little easier. I kept running. My friend said “we can run the 10k, if you cannot make it to the finish.” I said “no, I am finishing what I signed up for. I am running the half.” She said, “I cannot carry you but I will stick with you through this.” She did and I truly appreciate her. I decided to walk the hills. It was too hard to breathe when I ran them. I decided to take another 2 puffs of my inhaler. I felt some of the tightness release and I was able to run for a mile or 2, walk a quarter and that is how I finished the race. I finished in 2:17. I was so happy that I was able to run across the finish line. It was one of the toughest races I have ever run! I have exercised induced asthma and have never had an attack like this one during a race. If I use my inhaler before an exercise or race I am usually fine. I pushed through this race by listening to my body. My legs wanted more but my lungs were not able to give it to me. Cold air triggers a sever reaction, listen to my body and ALWAYS carry my inhaler. One month from today, I will run my first marathon. Here’s the thing, I said I would NEVER run one. Why? FEAR! 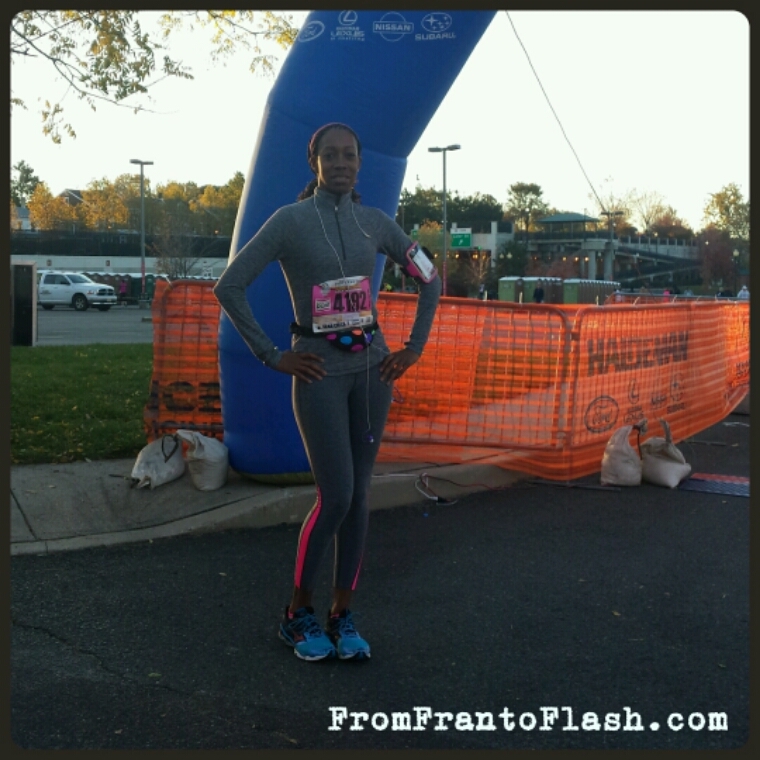 I have run several races at various distances: 5k, 10k, 10 miles and 13.1. 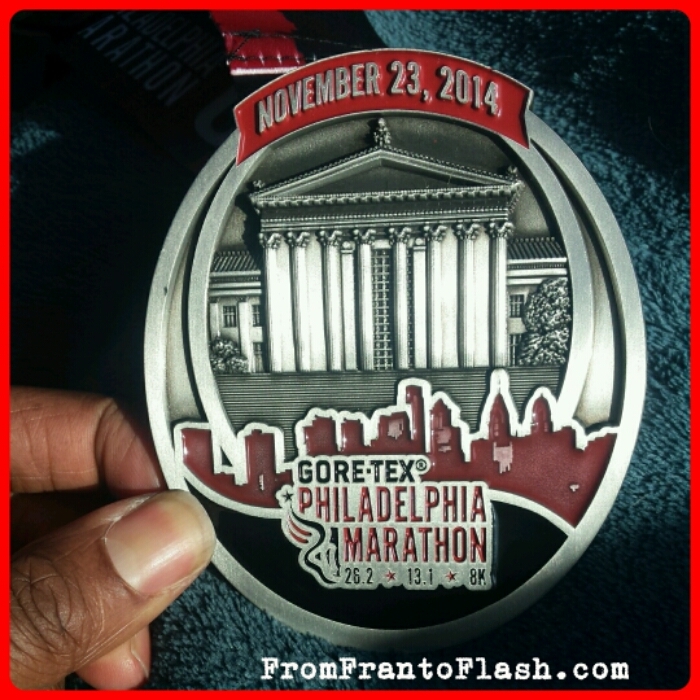 I was afraid to run 26.2. I have heard horror stories and I let them get the best of me…until now. Yes, I was afraid at registration as well. But I faced my fear and registered any way. 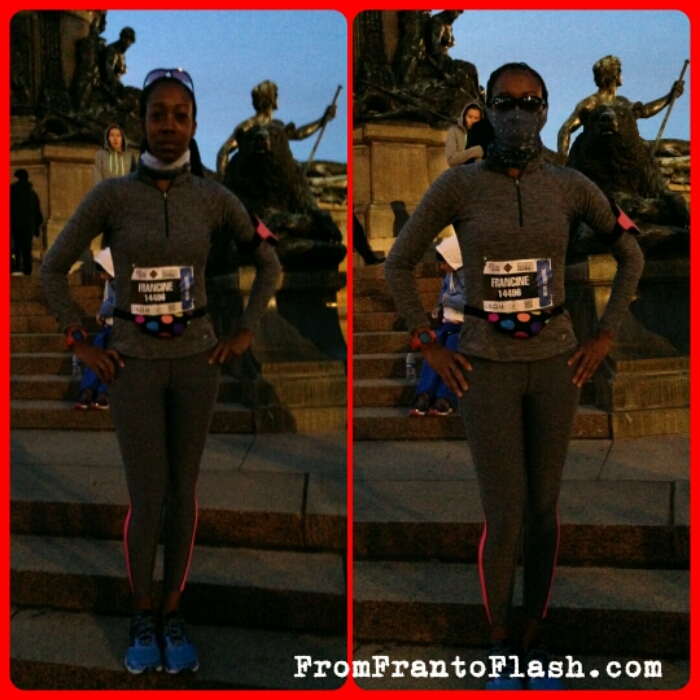 I have looked fear in the face and started training with others who are running their first marathon as well. I am trusting in my training. I am nervous but no longer afraid. Why? Strength. 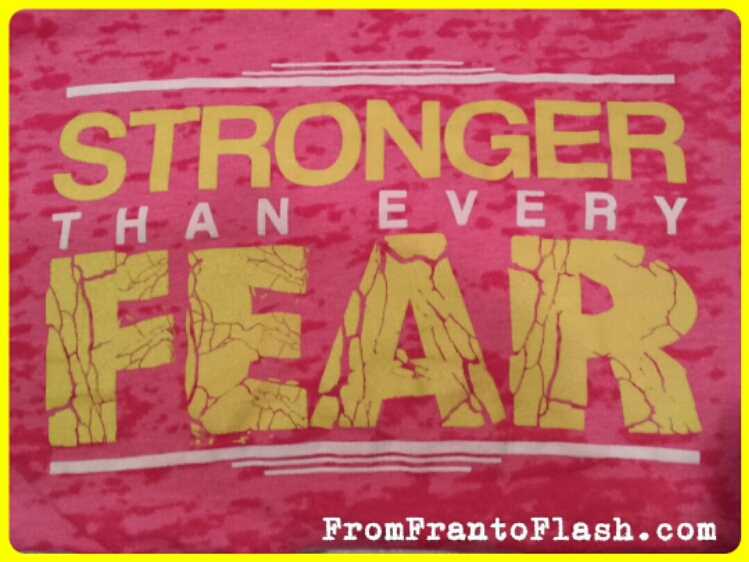 What fears have you faced and overcome? I am working on overcoming another….stay tuned. 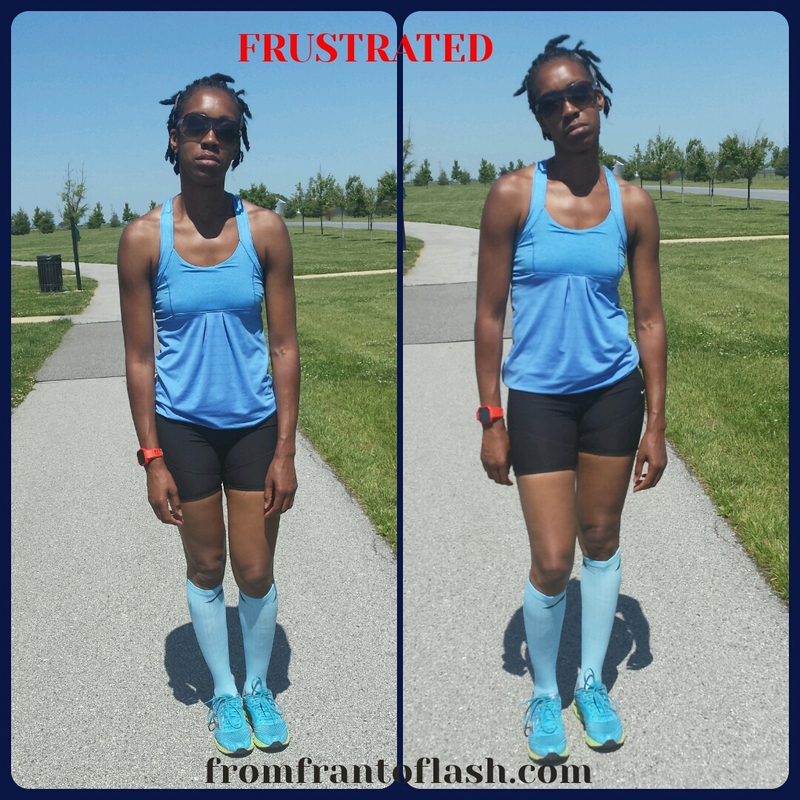 I struggled with my run on Sunday. I was supposed to run with a partner and overslept. GRRR! So I decided to get my boys to get out and go with me. We decided to go to a park with a trail and pond. Win-win right?. I got it if the car and went to look for my headphones, I left them home. I decided I was going to run a mile and then watch the boys fish. It was the toughest mile ever! It felt like my get were cinder blocks. 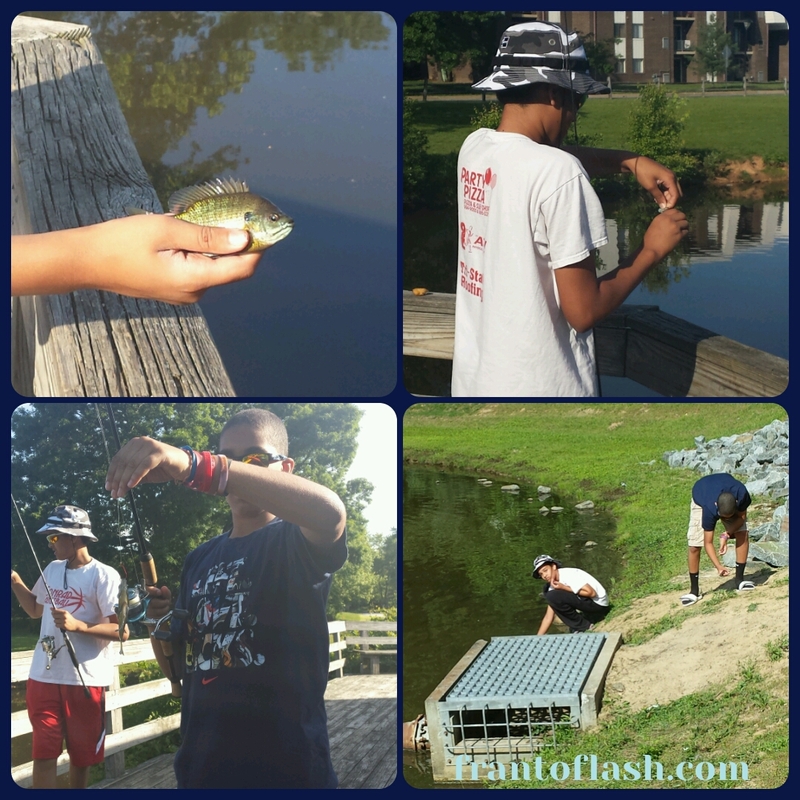 I pushed through the mile (barely) and watched the boys fish. 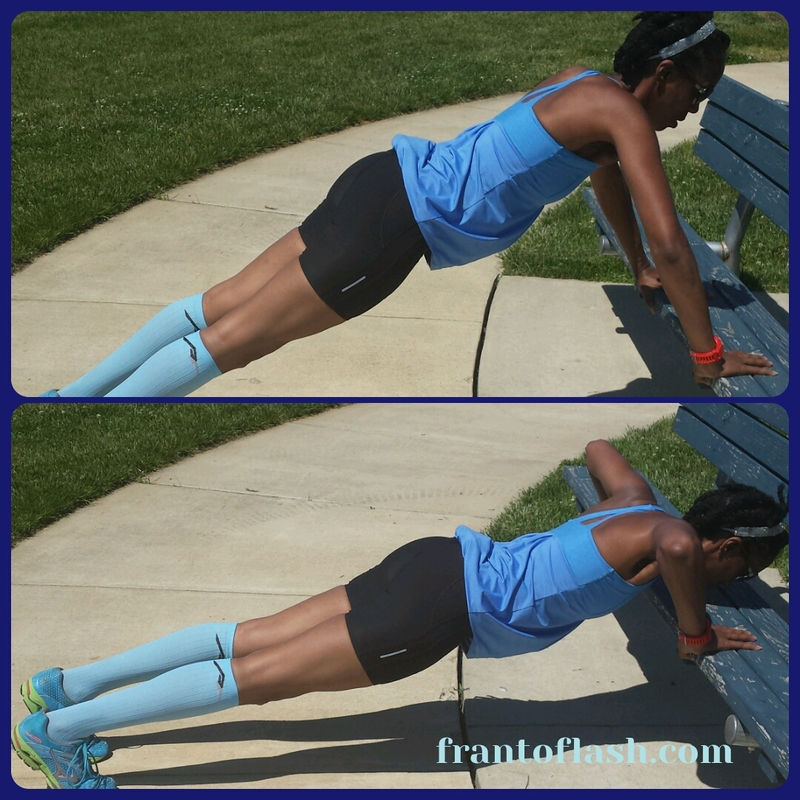 I was still frustrated and wanted to do more so I decided to do tricep dips, pushups and planks. I felt better. But the boys were frustrated because they didn’t catch anything. I made it up to them by taking them to another pond in the area and they caught a few there. It ended up being a great day for all of us. A RUN STREAK that is!! Runner’s World is having a Summer Run Streak from Memorial Day to July 4th. The goal is to run a mile a day during this time period. I am excited about participating in my first streak. I want to do it. I am determined to do it! Therefore, I am going to fo it! I had started a streak of my own before I read about the Runner’s World Run Streak. I ran 3 days in a row this holiday weekend. I ran one of my favorite trails and planked creekside. I will log my progress using my Nike app although, Runner’s World suggested Map My Fitness. 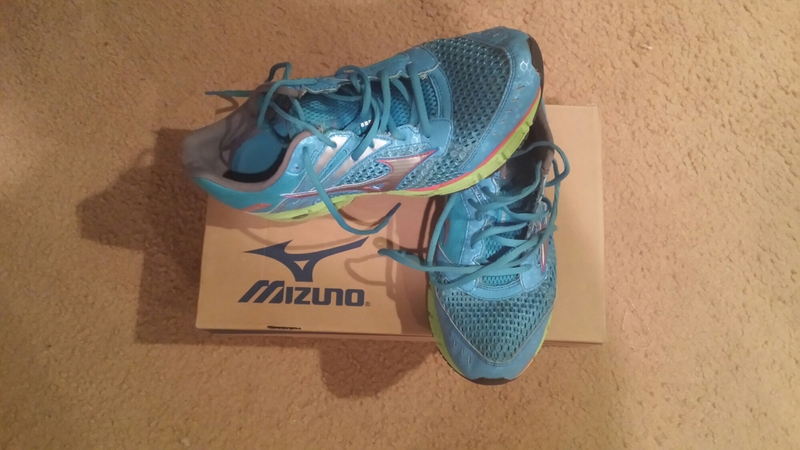 I want to get back into running regularly and with summer coming it will be a lot easier for me. By writing this post, I will make and hold myself accountable and hope that you all can help me.